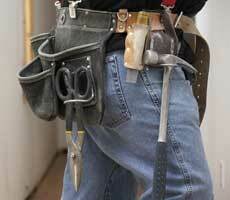 Bob Wright got his start in construction early in life helping his father on remodeling projects. Bob helped his father who would purchase homes in gross disrepair, renovate them and then rent them to the hard working people in the small logging town where he grew up on the Oregon coast. This proved to be a very smart investment strategy as the homes were later sold at a significant profit after years of providing a good income for the family. After school, Bob continued to renovate homes on his own. At one point he branched out into the wholesale food distribution business which he would eventually sell to invest in a new residential development company. 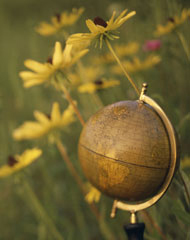 He found that new construction allowed him to control costs more effectively while still delivering a quality product. After many successful home projects Bob Wright decided to challenge himself more by building a hotel for himself. In doing so, he was able to transfer the construction knowledge, skill and years of experience he had gained into building a boutique hotel which has become the now very established and successful Elizabeth Inn, in Newport, Oregon. 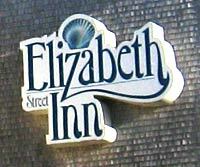 The Elizabeth Inn was Bob Wright first hotel construction project. This project was built for Bob Wright's own portfolio. It allowed him to learn without a doubt what his hard earned dollars could achieve and what it would take to create a great hotel. Bob Wright is very good at what he does for many reasons but most importantly may be the passion he possesses for building hotels. This is a great advantage for hotel developers and investors who are looking for a more stable and profitable hotel investment. Bob Wright takes great pride in his ability to accurately determine a projects cost which makes it possible for prospective owners to calculate with confidence how much they will need to spend to develop a quality hotel. And Bob has an innate understanding of the hotel construction process which allows him to prepare an accurate construction time line so owners will be able to gauge when the project may start generating revenue. Bob Wright's drive has allowed him to build a successful business comprised of hard working professionals who share his strong commitment to the client. Bob's love of the construction industry shows in the care, honesty and integrity he puts into every hotel he builds. These values are the cornerstone of the development business that is Wright Hotel Development and it is because of these values that Bob doesn't just build hotels - he builds lasting relationships, with many satisfied clients and trusted partners who count on Wright Hotel Development to deliver again and again.